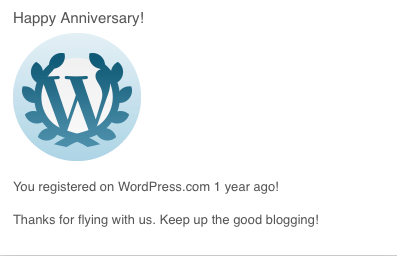 Thank you, WordPress. It was about one year ago that I started a blog for our high school humanities department. I decided to call the blog Randolphhum for obvious reasons. In hindsight, I might have selected a more powerful name. Maybe “Schoolhouse 2.0” or “Educational Smackdown” or “Reflections From a Sweater Vest Wearer” would have been better? I wasn’t sure where the blog would take me, but I’ve been thrilled with the journey. Writing a blog has enabled me to sit down, process my thoughts, explore themes in education, and refine my writing. Over the course of a year, I have been joined by some members of our humanities department to write over 45 blog posts that have been read over 3,500 times by people all over the world. Randolphhum’s blog posts have covered everything from curriculum to educational technology to assessment theory. 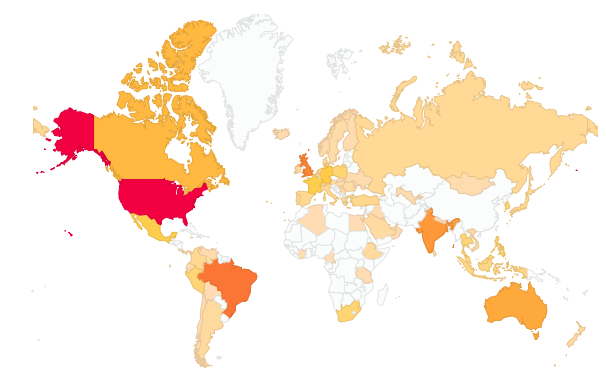 Over the course of a year, people from 73 countries have checked out what we’re doing in our department and school. Having the ability to convey thoughts and the actions of a school to a global audience is empowering–and a bit nerve-racking. 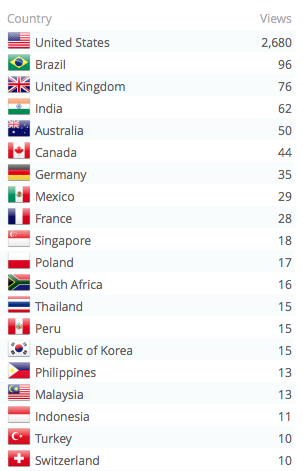 Full count of visitors to the blog from September 2013 to this Sunday morning. The most popular story every published on our blog was a post titled 3 Free Ways to Change Classroom Dynamics. The least popular post? It was called Using Children’s Books to Engage Young (and Adult) Writers and I probably spent more time writing that post than any of the others (my wife warned me that one stunk). Seriously, only eleven people wanted to read that? It’s clear when looking at the blog’s statistics that readers favor shorter posts that focus on educational technology. Posts about computer coding, Mozilla, and flipped learning were all popular. Above all else, readers want to know about innovative products or theories and how they can make a difference in classrooms immediately. 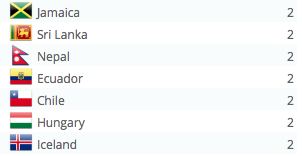 …thought we’d be more popular in Nepal? The biggest thrill about our department’s blog is when someone else submits a post to be published. When a teacher takes the time to write something about a classroom experience or an idea that they are passionate about and submits it for our blog, I think it’s unbelievable. Teachers have submitted posts dealing with their favorite icebreaker, how they have started to use Google Drive, and new iPad apps making a difference in their classroom. In a way, our blog can become a virtual idea workshop, as we all begin to learn from one another and share our successes with the world. I know that some of the amazing things I’ve seen going on in our school’s classrooms would make fantastic blog posts in the future. It’s intimidating staring at a blank computer screen and trying to get your words to make sense for a post. However, it can also be liberating. I think blogging can make a difference in an organization or school and that, in 2014, we need to use all the tools at our disposal to share our teaching stories. We have the ability to put our stories out to the entire world with the click of a button. I hope more educators begin to do so.